ASUU Strike Update: Emergency Congresses Set to Hold. Emergency congresses of Academic Staff Union of Universities (ASUU) are set to hold in all branches of the Union between today and tomorrow, for updates on its ongoing national strike action. Although Prof Biodun Ogunyemi, the union’s national President yesterday announced a “conditional suspension” of the strike in a news conference, lecturers in Nigerian Universities do not usually resume work without the directives of their various branch Chairmen. The Union operates on democratic tenets that allow all its members to review and make inputs on all matters that concern it. It would be recalled that before the ongoing strike commenced on August 14th, 2017, Prof Ogunyemi had announced that the strike was based on the outcome of a referendum that was undertaken in all branches of ASUU. Those branches held similar congresses last week, to review the outcome of recent negotiations between its national officers and representatives of the Federal Government of Nigeria. The outcome of last week’s congresses must have influenced proceedings in yesterday’s meeting between the union’s national officers and representatives of government. Prof. Ogunyemi’s announcement on the “conditional suspension” of the strike was made at about 9.30pm, after a meeting that reportedly lasted for four hours. The Minister of Labour, Senator Chris Ngige, led government’s representatives in that meeting that held in Abuja, Nigeria’s Federal Capital. Prof Ogunyemi described yesterday’s agreement with government as a “memorandum of action” and stated that ASUU would not hesitate to resume the strike if government fails to abide by the memorandum. He gave October 2017 as timeline for its implementation. Earlier, Senator Ngige told newsmen that the agreement reached would be implemented by the government, in line with available resources. Meanwhile, lecturers in state universities such as Cross River University of Technology (CRUTECH) would be eager to know how their university would benefit from the signed “memorandum of action”, especially as they reportedly seldom benefit from the outcome of previous struggles without embarking on fresh and separate struggles in their respective branches. 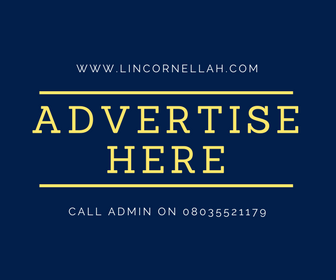 LinCornellah’s blog recently reported how Dr. John Ukam, former secretary of that university’s branch of the union, had hinted that CRUTECH may not resume, even when the ongoing strike is suspended. Recent feelers from that university indicate that this may no longer be the case, as the Cross River State government has promised to increase its subvention to the university. Except the state government urgently fulfills that unconfirmed promise, Senator Chris Ngige’s announcement that ASUU would submit a position paper to the Federal Government with a view for government to advise state governments on the funding of state universities, may be all that lecturers in CRUTECH will receive, before they resume work. A reliable source informed LinCornellah’s blog that lecturers in that university would hold an emergency congress at 12 noon tomorrow.